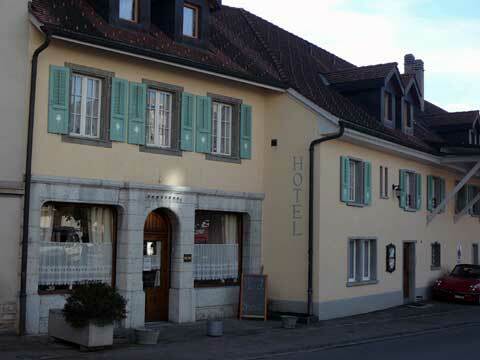 The Broc’aulit hotel in Broc offers 8 rooms and two suites that have been completely renovated in 2009. Broc is a perfect location to visit Gruyere which is just five minutes away and enjoy the ski resort of Charmey or hiking opportunities in the Alps of Fribourg in the summer. The city of Broc is also the location of the Cailler chocolate factory that is just a five minute walk from the hotel. When the weather is good enough, the breakfast will be served on a terrace offering a gorgeous view on the Gruyere countryside and mountains. In their reviews, guests of the hotel indicate that they liked the cleanness of the rooms, the friendliness of the staff and the nice view on the Castle of Gruyere.